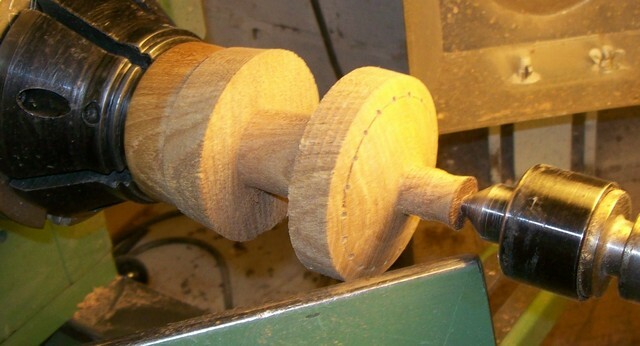 The next stage is to mark out and drill the holes for the earrings. 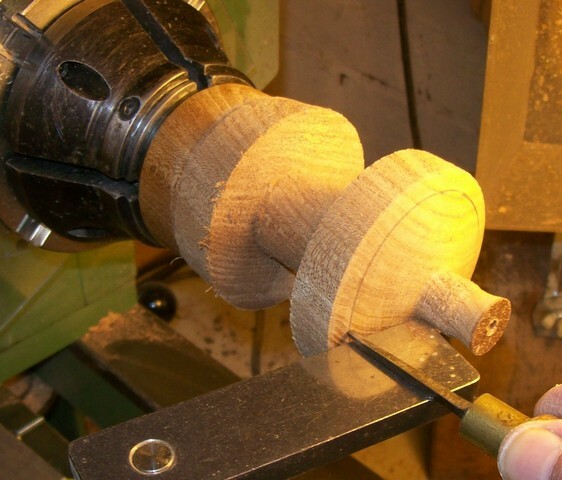 I do have an index system on my lathe which has 24 stops but for this stand I wanted 20 holes so I made my own system, my guide to making one is HERE. I put the index system in place and also change the tool rest to a flat one as I find this easier to use to make sure I get the holes evenly spaced. I now make a pencil mark about 1/4” in from the edge of the top and all around it. 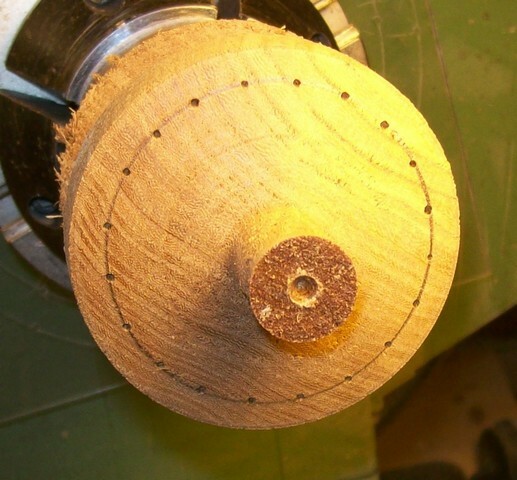 I then use a bradawl held flat on the rest to make a mark. I then move the index system on one place and make another mark and repeat until I have 20 evenly spaced marks. 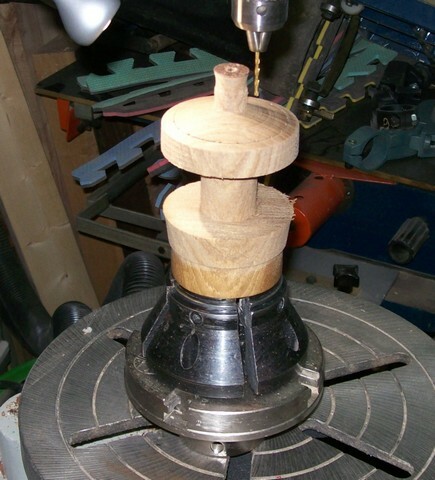 The next step is to drill the holes I remove it from the lathe, still in the chuck, and drill it on my drill stand but it can be done just as well with a handheld drill. I use a 3mm drill for the holes as I have found this to be the best size. 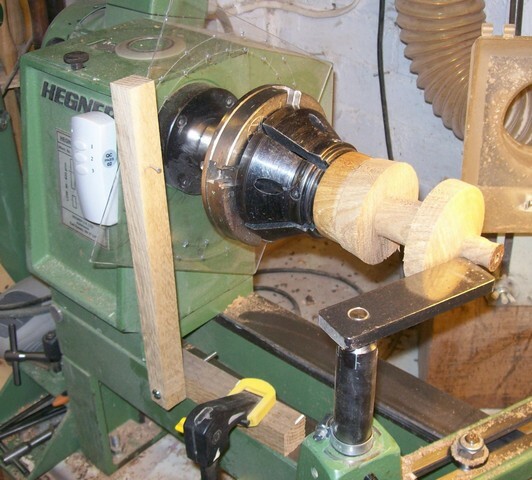 After the holes are drilled I return it to the lathe again brining the tailstock up for support.